Wightbyte Computers are an Isle of Wight mobile computer repair, service and maintenance company. All aspects of computing are covered by Wightbyte including PC’s and Apple computers. New computer systems, computer upgrades, computer repair, virus and spyware removal, fault diagnosis & trouble shooting. We service both business and private customers across the entire IW, and as a mobile service offer limited disruption both in time and productivity. Isle of Wight businesses and private individuals benefit from onsite computer repair, service and maintenance by our fully qualified mobile computer technicians. Don’t let other companies play on your lack of knowledge of computers. We won’t baffle you with techno-jargon. We always charge a fair price for a professional job. We always strive to treat you the customer, as we would like to be treated ourselves. 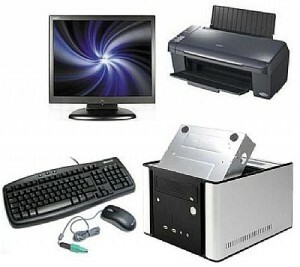 All computer work is carried out by qualified PC engineers. 540 million data records of Facebook users were compromised after third-party apps and sites stored the data on unsecured servers. The leaked information included comments, likes, reactions, account names, and FB IDs, and some email addresses. The app called At The Pool even stored passwords of 22,000 users in plaintext. Security expert tips: If you have used At The Pool, make sure you are not reusing the same password for any other accounts. All other Facebook users, beware of phishing attacks based on your account activity. A question we get asked quite regularly is should I leave my computer on or turn it off? Don't get frustrated with your computer. Just call us to alleviate your tech headache. Wightbyte Computers (The Technical Emergency Service). The Isle of Wight's premier Mobile Computer service. Our services include: Computer repair Isle of Wight, PC repair Isle of Wight, computer upgrades Isle of Wight, New PC's Wight, PC and computer trouble shooting, virus and malware removal, Laptop Repair, secure data destruction, data recovery, hard drive data recovery, we cover the whole island including Arreton, Bembridge, Binstead, Bonchurch, Brading, Brighstone, Brook, Calbourne, Carisbrooke, Chale, Cowes, East Cowes, Freshwater, Gatcombe, Godshill, Gurnard, Hulverstone, Kingston, Mottistone, , Nettlestone, Newchurch, Newport, Newtown, Niton, Northwood, Rookley, Ryde, Sandown, Seaview, Shalfleet, Shanklin, Shide, Shorwell, St Helens, Thorley, Totland, Ventnor, Whippingham, Whitwell, Wootton, Wroxall, Yarmouth, Yaverland, IOW, Wight.